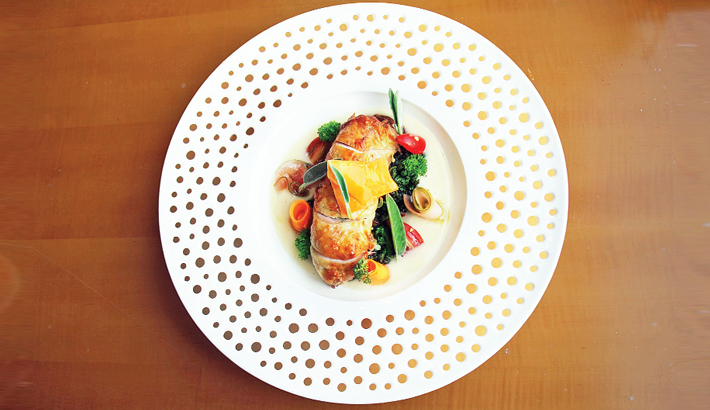 The Westin Dhaka has recently introduced a fresh menu at their panoramic Italian restaurant – Prego. The new menu offers many unique dishes and desserts which will give the guests a taste of Venetian food culture. In the new menu, guests will be excited to find many new Cicchetti dishes which are very small servings of typical full-course plates. Similar to Spanish tapas, guests can make a meal of Cicchetti by ordering multiple plates which are all made with the freshest ingredients. The new menu offers favourites such as Don Bruschetta and Carpaccio Di Manzo Al Tartufo in the salads section. Guests can enjoy antipasti such as Calamari Alla Romana, Rissotto Di Seppia and Patata E Mozzarella Croccante. Soups such as Minestrone Di Verdure Artigianale and Zuppa Di Fungi are also in the menu. Many new signature dishes such as Risotto Nero Con Frutti Di Mare, Ravioli Al Salmone and Cotoletta All Milanese along with many steak options are all new additions in the menu. Guests can also try out many unique desserts such Arborio rice pudding, Tree of Life, and Zabaglione for their sweet cravings. In order to give Italian food a fresh new perspective, the new menu has been meticulously designed by Master Chef M. Burc Tuncel (Executive Chef, The Westin Dhaka) for the guests of Prego. Guests who are looking to try out something new can visit Prego and enjoy all these dishes during both lunch and dinner time.